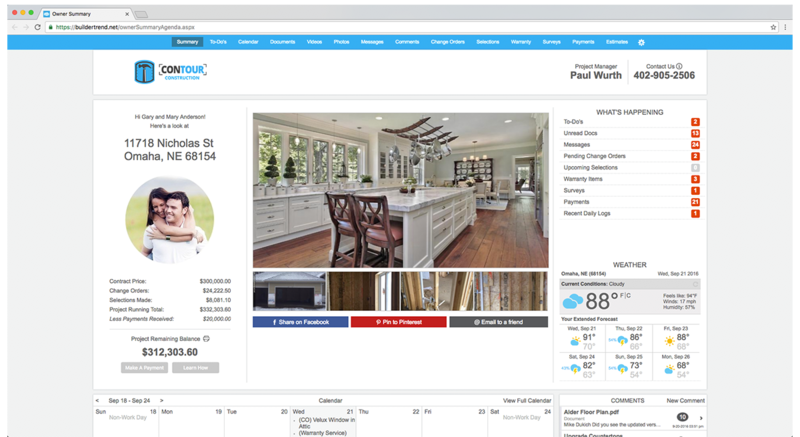 BuilderTREND is a project management solution designed for residential construction professionals, including homebuilders, specialty contractors, custom builders, and renovators. The software provides a cloud-hosted solution to construction firms so they can effortlessly handle more projects, speed up project completion, and minimize costly operations and errors. BuilderTREND tackled the bidding requests, building proposals, and single-entry estimates for the pre-sale process to assist businesses in getting projects. If you work from your office or job site through to-do lists, daily logs, messaging, and scheduling, the communication will be streamlined in your team. The software can be accessed via smartphone with the field access to its mobile application to give you the liberty to work on projects whenever or wherever you are. Not only that, but it also handles the financial management in processing payments requests, purchase orders, job costing, and much more. Above all, customer management capabilities allow users to handle customer reviews through websites, optimize collaboration for better customer experience, and send and analyze surveys. BuilderTREND has a myriad of offered benefits that are designed to help construction professionals find more and better business opportunities. The software’s lead management functionality helps establish and track leads and convert them into real projects. Also, making bids and proposals on this software is made easy since you can refer to the historical data to accurately make estimates. It is even easy to send documents as BuilderTREND allows you to access the system from your mobile device. All successful proposals are saved and can be used again in the future. This solution is also integrated with the required tools to provide stalwart support to all project management stages. Some tools included are the scheduling functionality that shifts automatically when modifications are entered into the system. With its notification feature, each member involved in the project will receive real-time updates, and each can be given tasks, to-do lists, and daily log monitor. Also, with the software’s Timesheet feature, member log-ins were made easy and simple. Everyone can log-in to the system using their smartphone and other mobile devices on hand. Apart from that, all purchase orders of your team are also managed well. This will ensure that all mistakes that root from the purchases are prevented and documented for future reference. Features for real-time and private messaging are also available. The private messaging allows each member to communicate with ease within the system, making collaboration opportunities and project management process simply exceptional.